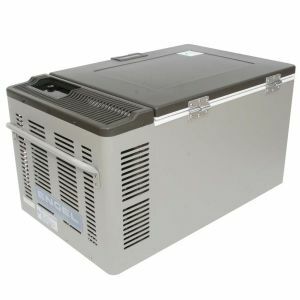 The Engel MT60 is a large 64-quart freezer that can also be used as a refrigerator. It features automatic temperature control, a removable basket and an easy to clean plastic lining. Power the unit with your car using the 12-volt DC cord (provided with the refrigerator). These travel coolers are tri-voltage which means they can run off 110VAC, 12VDC and 24VDC!